You survived another year at school, awesome! (Just don’t think about the crippling reality of going back in three months). With all that free time you’d most likely spend on the internet, why not visit Science World in Downtown Vancouver? Join them for Teen Night: SWEET, It’s Summer! and enjoy the end of the school year by exploring all the galleries that Science World has to offer. If the West Coast doesn’t suit your fancy, how about visiting Toronto’s Science Centre? They have many events going on during the summer, like the MythBuster Exhibition, tons of different IMAX films, and even Solar Observing! Instead of just binge-watching your favourite shows on Netflix, go and explore the activities that places all over Canada have to offer! 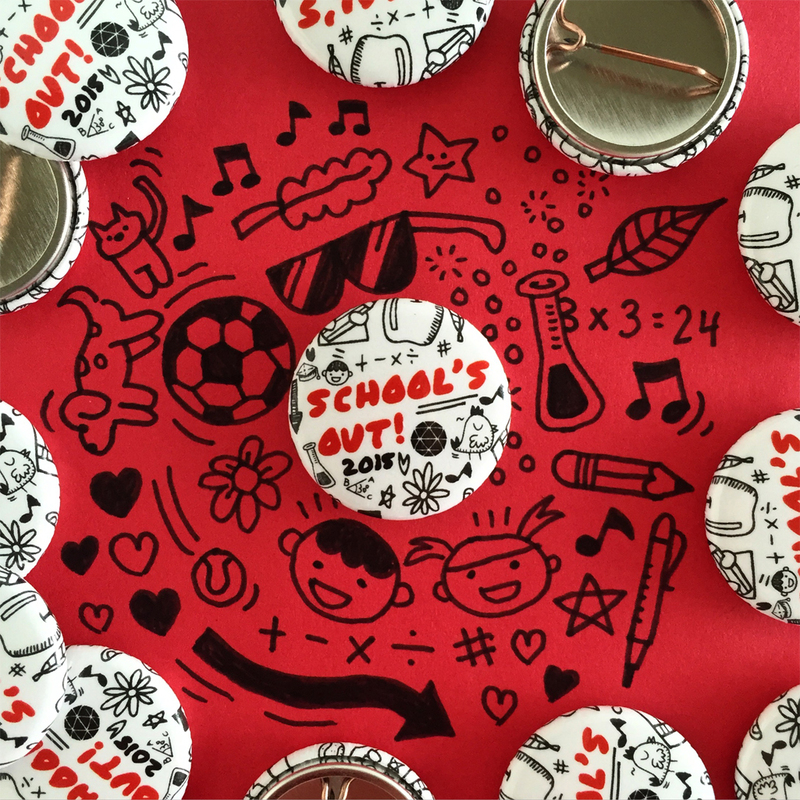 As the button says, “School’s out!” Go enjoy your summer!